MBALE – Wakiso Giants defeated Bukedea Town Council 1-0 in one of the FUFA Big League games played on Thursday evening. Daff Lubobi was the hero for the Money Bags, scoring the only goal of the game with 25 minutes on clock. 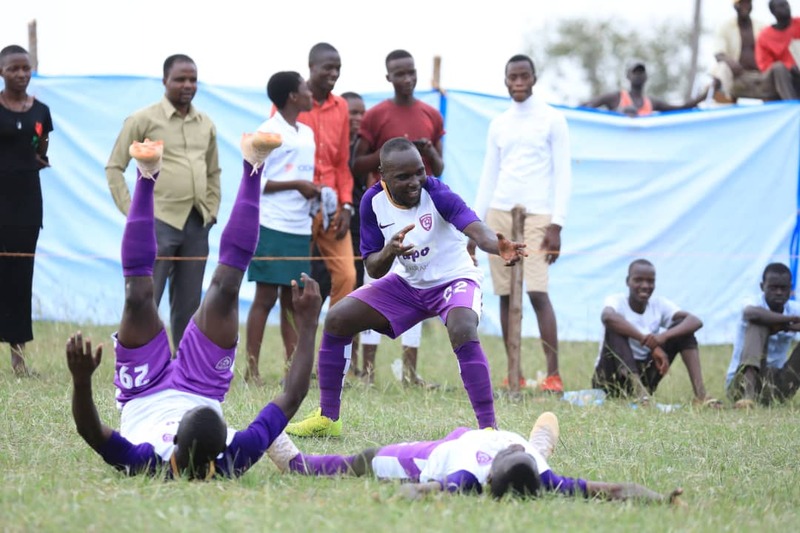 Having accumulated 5 points in their first three games, Wakiso were hoping to continue their fine start to the season and after Thursday’s victory, assistant head coach-Andy Lule emphasized that the team’s target is promotion. “We are very happy to get our second win of the season, said Lule after the game. “It is so crucial for us getting the three points especially away from home. “We are targeting promotion so today’s victory is vital. About the performance of his side on Thursday, Lule had this to say. “We played well today as we achieved our day’s target. The win elevates Wakiso Giants atop the standing of the Elgon Group with 8 points from four games. For Bukedea, they are still bottom of the pile with only a point from their first three games. Elsewhere in the Elgon Group, Kataka played out a 2-2 draw at home to Kyetume. Nasur Nandala and Jacob Okuwo scored for the home side while Kyetume found the back of the net through Denis Lubowa and Emma Obitre. In Jinja, JMC Hippos lost 2-1 at home to Army side-UPDf. The other Elgon Group game saw Dove All Stars play out a goalless draw at home to Nebbi Central. In the Rwenzori Group, Kitara defeated Water 2-0 away from home. Mike Baluku opened the scoring for the visitors on 20 minutes while former SC Villa striker-George Ssenkaba secured the points with a second goal, 17 minutes from time. Elsewhere, Kira United lost 1-0 at home to Ntinda United with the only goal of the game coming from Vicent Lukwago inside three minutes. For Kiboga Young and Kansai Plascon, the two sides played out a 1-1 draw. Robert Sentongo Junior put the hosts ahead two minutes into the second half but his strike was canceled out by Peter Romelu 25 minutes from time. In Bumate, hosts Bumate United lost 1-0 to Kambale Sharp while in the day’s last fixture, Dove draw 2-2 with 10 man Kireka United.